In the United States, the all-cause mortality rate among persons living with diagnosed HIV infection (PLWH) is almost twice as high as among the general population. We aimed to identify amendable factors that state public health programs can influence to reduce mortality among PLWH. Using generalized estimating equations (GEE), we estimated age–group-specific models (24–34, 35–54, ≥ 55 years) to assess the association between state-level mortality rates among PLWH during 2010–2014 (National HIV Surveillance System) and amendable factors (percentage of Ryan White HIV/AIDS Program (RWHAP) clients with viral suppression, percentage of residents with healthcare coverage, state-enacted anti-discrimination laws index) while controlling for sociodemographic nonamendable factors. Controlling for nonamendable factors, states with 5% higher viral suppression among RWHAP clients had a 3–5% lower mortality rates across all age groups [adjusted Risk Ratio (aRR): 0.95, 95% Confidence Interval (CI): 0.92–0.99 for 24–34 years, aRR: 0.97, 95%CI: 0.94–0.99 for 35–54 years, aRR: 0.96, 95%CI: 0.94–0.99 for ≥ 55 years]; states with 5% higher health care coverage had 4–11% lower mortality rate among older age groups (aRR: 0.96, 95%CI: 0.93–0.99 for 34–54 years; aRR: 0.89, 95%CI: 0.81–0.97 for ≥ 55 years); and having laws that address one additional area of anti-discrimination was associated with a 2–3% lower mortality rate among older age groups (aRR: 0.98, 95%CI: 0.95–1.00 for 34–54 years; aRR: 0.97, 95%CI: 0.94–0.99 for ≥ 55 years). The mortality rate among PLWH was lower in states with higher levels of residents with healthcare coverage, anti-discrimination laws, and viral suppression among RWHAP clients. States can influence these factors through programs and policies. The findings and conclusions in this article are those of the authors’ and do not necessarily represent the official position of the Centers for Disease Control and Prevention or the Health Resources and Services Administration. The online version of this article ( https://doi.org/10.1007/s10900-019-00655-4) contains supplementary material, which is available to authorized users. 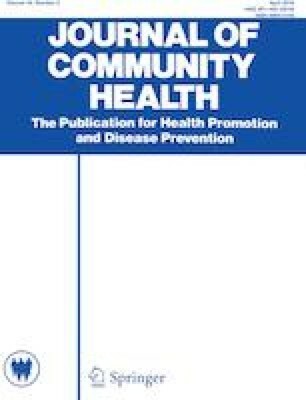 Publication of this manuscript was made possible by the contributions of the state and territorial health departments and the HIV surveillance programs that provided surveillance data to CDC and the Ryan White HIV/AIDS Program grant recipients and subrecipients that provided data to HRSA. Underlying Cause of Death 1999-2015 on CDC WONDER Online Database, released 2015. Data are from the multiple cause of death files, 1999-2015, as compiled from data provided by the 57 vital statistics jurisdictions through the Vital Statistics Cooperative Program [database on the Internet]. CDC WONDER Online database. [cited July 5, 2017]. Available from: http://wonder.cdc.gov/ucd-icd10.html. Underlying Cause of Death 1979-1998 on CDC WONDER online database. Data are from the underlying cause of death files, 1979-1998, as compiled from data provided by the 57 vital statistics jurisdictions through the Vital Statistics Cooperative Program [database on the internet]. CDC WONDER Online database. [cited July 5, 2017]. Retrieved from: https://wonder.cdc.gov/cmf-icd9.html. U.S. Department of Commerce. Economics and Statistics Administration U.S. Census Bureau. Census regions and divisions of the United States. U.S. Census Bureau. https://www2.census.gov/geo/pdfs/maps-data/maps/reference/us_regdiv.pdf. Accessed July 1, 2014. U.S. Census Bureau: State and County QuickFacts. QuickFacts. U.S. Census Bureau. 2016. https://www.census.gov/quickfacts/fact/map/US/IPE120215#viewtop. Accessed August 29, 2017. NCHHSTP AtlasPlus. [database on the Internet] [cited April 17, 2017]. Retrived from: https://www.cdc.gov/nchhstp/atlas/. Health Resources and Services Administration. Ryan White HIV/AIDS Program Annual Client-Level Data Report 2016. http://hab.hrsa.gov/data/data-reports.November. U. S. Census Bureau. American Community Survey. Accessed December 16, 2015, http://factfinder.census.gov/faces/nav/jsf/pages/programs.xhtml?program=acs. Human Rights Campaign. State equality index. 2015. Accessed Septebmer 23, 2015, http://www.hrc.org/campaigns/state-equality-index. Health Resources and Services Administration. About the Ryan White HIV/AIDS Program. 2016. https://hab.hrsa.gov/about-ryan-white-hivaids-program/about-ryan-white-hivaids-program. Whitehorn L, Domestic violence doubles risk of death for HIV-positive women. AIDS 2012; 2012; Washington DC. https://www.poz.com/article/hiv-women-violence-22757-8706. Centers for Disease Control and Prevention. 10 Leading causes of death by age group, United States—2016. 2018. https://www.cdc.gov/injury/wisqars/pdf/leading_causes_of_death_by_age_group_2016-508.pdf.